Robert Ortiz's dish revels in the flavours and ingredients of Peru, by pairing the salmon with a leche de tigre sauce and a yellow ricoto chilli potato purée. 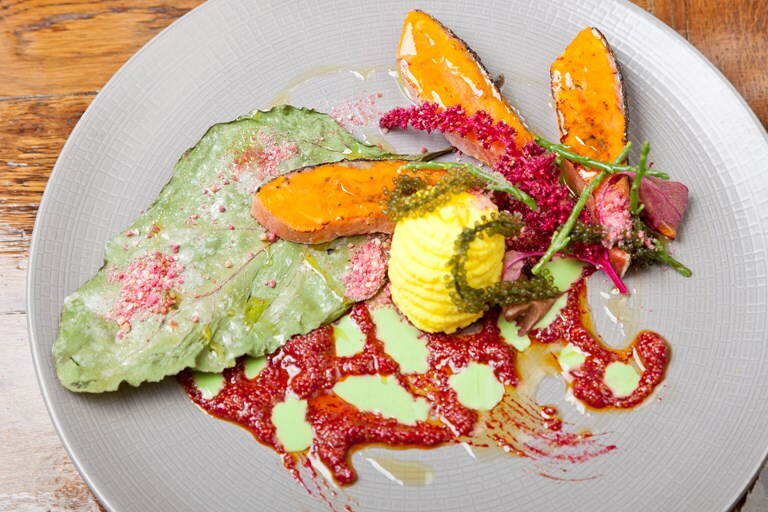 Kiwicha is a type of amaranth with long red flower clusters, and in this recipe both the flowers and grain of the plant are used to stunning effect alongside the salmon. Make sure you keep the sauces for this dish well-chilled when you're not using them.